-The recent study, conducted by researchers at University of Surrey (United Kingdom) at King’s College London, was focused to evaluate the impact of walking on the quality of life and symptom severity in patients with advanced cancer. -A total of 42 cancer cases were split in two groups, one where the patients received coaching (an initiative from the Macmillan Group) that encouraged the patients to include a 30 minute walk on alternative days. People in group two were advised to maintain their level of activity without any changes. -Patients from group one reported an improvement in physical, emotional and psychological well-being. 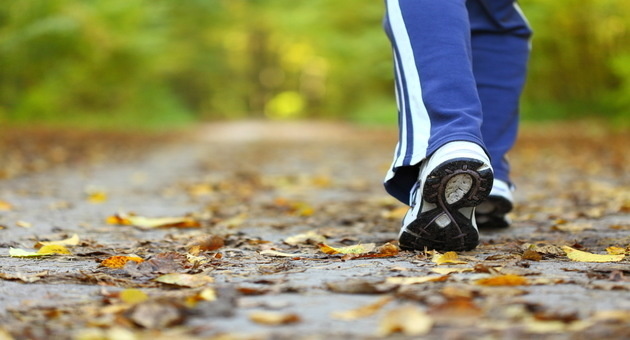 Walking was found to provide an improved positive attitude towards the illness. -The study suggested that by walking only for 30 minutes thrice a week significantly benefited those suffering from advanced forms of cancer. It encouraged the patients to consciously reduce weight and be more active. -Findings were published in the British Medical Journal Open. ← Did You Know About These 7 Surprising Health Benefits Of Pumpkins?